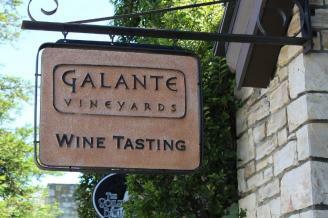 The Galante Family has a long history in the Monterey area. Owner Jack Galante's great grandfather, J.F. Devendorf, was the founder of the town of Carmel. He later built the Pine Inn and the prestigious Highlands Inn. At Galante Vineyards our philosophy is simple: grow the finest grapes possible and let the fruit express itself in the wine. Since all of our grapes are estate grown, each bottle of wine we produce embodies the characteristics of our unique region, exhibiting the natural flavors that are born from the land. Recognized as one of the premier wine producers in Monterey County and all of California, we are well known for our Cabernet Sauvignon but also produce limited amounts of Malbec, Petite Sirah, Merlot, Pinot Noir, Sauvignon Blanc and several blends. Our 700-acre vineyards and winery, located in the Carmel Valley hills, is an ideal spot for large and small group gatherings alike. Our wine tasting room was the first in Carmel. Located on Dolores between Ocean & 7th, it is a fun place to visit and provides a great introduction to our estate wines. We look forward to your visit. Directions: Our tasting room is in Carmel by-the-Sea. Description We are a winery venue located at 18181 Cachagua Road in Carmel Valley, CA. Events are held under a large tent(s) outdoors. Events are all customized and all events are on a private, buyout basis. Restrooms on site. Flash Your Badge for 2 for 1 Wine Tasting!